Coolpad Cool S1 features 5.5 inches full HD IPS display and runs on Android 6 Marshmallow OS powered by 2.1Ghz Qualcomm Snapdragon 821 Quad Core processor. This phone boasts of 16 megapixel primary camera at the back and 8 megapixel front camera. 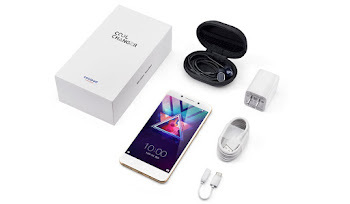 Coolpad Cool S1 comes with 4GB RAM and gives 64GB internal of internal memory, it supports 4G connectivity and has 4000mAh battery capacity. The price ranges from $375 to $550 as there are different versions in terms of RAMs. ✔ Coolpad Cool S1 may support Reliance Jio 4G Free offers. Lol, up to date specs.. But slightly high price, slightly. Lol, up to date specs.. But slightly high price, slightly......krobo.